Maho Beach Sea Glass - Sketchy? Would you collect sea glass here? Beach Glass Report:: 6-15 pieces per hour found near Sunset Beach Bar, behind the airport, watch out overhead for planes. We appreciate this and all reports we receive. However, when evaluating a report, use good judgment. No description of the sea or beach glass found was included in this report. 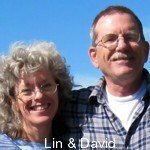 As always, we remind folks that sea glass beach reports are not confirmed by Lin or me at Odyssey Sea Glass unless otherwise stated. Reports that do not include photos of the sea glass found are less reliable. So use your own judgement in deciding whether to travel to a particular beach or not. Grand Case, St. Maarten/St. Martin (on French side of island). Mostly green beach glass but I found a few pieces of brown and one beautiful piece of. View Larger Map St. Maarten - Caribbean Sea Glass Rated: Good This little island has lots of treasures to find on the far side of the island. 5-10. Black glass from St John? I visited St John USVI a couple of years ago. I started looking for sea glass a couple years ago before that but only to pass the time on the beach. Most of the things I have found are brown and green. On this trip however I found a piece of glass that is very different. It looks almost black till you hold it up to the light or sun and is then a deep red almost purple color. The piece is pitted on the outside but on the edges you can tell it is glass. It measures about 1" x 1" x 1/4". Any idea if I have found a treasure?? In the little reading I have done, it seems that reds are rare. Sorry, but I don't know how to upload pictures. 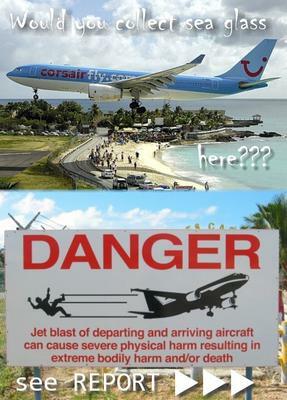 "Maho Beach is a beach on the Dutch side of the Caribbean island of Saint Martin, in the country of Sint Maarten. 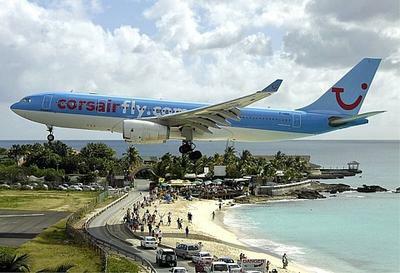 It is famous for the Princess Juliana International Airport adjacent to the beach. 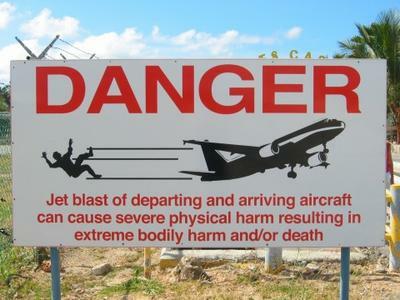 Arriving aircraft must touch down as close as possible to the beginning of Runway 10 due to the short runway length of 2,180 metres (7,150 ft), resulting in aircraft on their final approach flying over the beach at minimal altitude." There is also "Maho Bay Beach, North Shore Rd Virgin Islands National Park St. John, U.S. Virgin Islands." Maho Bay is on St. John -- Not St. Thomas. Brewer's Bay Beach is next to the airport on St. Thomas -- as is Lindbergh beach.